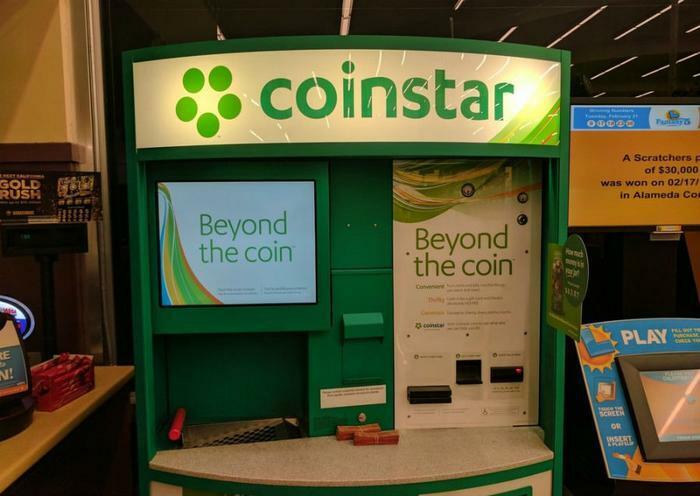 Coinstar has teamed up with Coinme, the first state-licensed “Bitcoin ATM company,” to equip Coinstar kiosks across the country with the ability to let consumers easily purchase Bitcoin. “Bitcoin is now accessible at your local grocery store via Coinstar kiosks, and this offering will make it even easier for consumers to participate in this dynamic new economy,” said Neil Bergquist, Coinme Cofounder and CEO. The updated machines, which utilize Coinme’s “innovative delivery mechanism,” can be tracked down using the Coinstar Bitcoin locator tool. “If Bitcoin is unavailable in your area, keep checking as the service is being added to more Coinstar kiosks every week,” Coinstar noted on its website. Touch “Buy Bitcoin” on the Coinstar machine, review and accept the transaction terms, and enter your phone number. Insert U.S. paper money into the cash acceptor (there is a limit of $2,500).